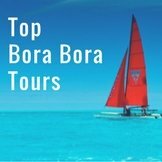 BoraBoraIslandGuide.com offers great-value Bora Bora advertising options to reach your targeted customer at the critical decision-making phase of trip planning. 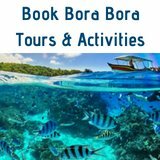 These exclusive sponsorships provide Bora Bora advertisers with an opportunity for a prominent profile and increased sales in their sector of Tahiti's tourism industry. Is Offline Advertising Effective for your $$$? The most common way to advertise hotels, villas, tours, or boutiques offline is in the magazines and brochures which visitors pick up after arriving. So by the time your ad is seen they have already made decisions or booked their accommodation, restaurants, car rental and activities. Placing ads in newspapers and magazines, to make travelers aware of your service before they go, is expensive and less effective. These ads are usually a one-time placement and only provide limited geographical exposure to a semi-targeted audience. 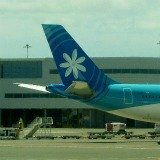 Readers may be more interested in a holiday in the Caribbean than a splurge on a luxurious Bora Bora stay. Some businesses offer perks (like flights and over water villa accommodation) to celebrities to receive publicity. Their vacation is talked about on the radio in certain localities for a day or so, and then is heard no more. Similarly, a PR piece in a newspaper or magazine has limited distribution and only gives a short term boost. Advertising real estate through conventional channels is a major investment and only addresses a limited audience. Compare the price to Bora Bora advertising which speaks to a targeted world-wide market of passionate Bora Bora lovers. 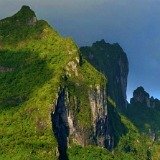 BoraBoraIslandGuide.Com reaches worldwide, 24 hours a day, 7 days a week, 52 weeks a year. 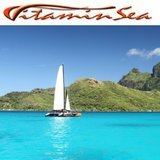 It has the power to address and influence huge numbers of people specifically searching for information on Tahiti vacations, and ready to spend their money. Today nearly everyone searches for travel options and makes arrangements online. 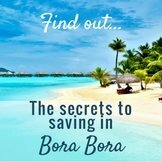 Your Bora Bora advertising will reach tourists during the planning and decision making process, before they visit. Most tourists start preparing a year or more before they intend to go to Bora Bora. They are educated, web savvy, well heeled individuals who look for an independent source to guide them through the process. For many it is their first visit and they are celebrating a special occasion. Others are coming back to relive the landmark in their life which brought them the first time. They are making a large financial commitment, so they want everything to be perfect, and invest time researching. 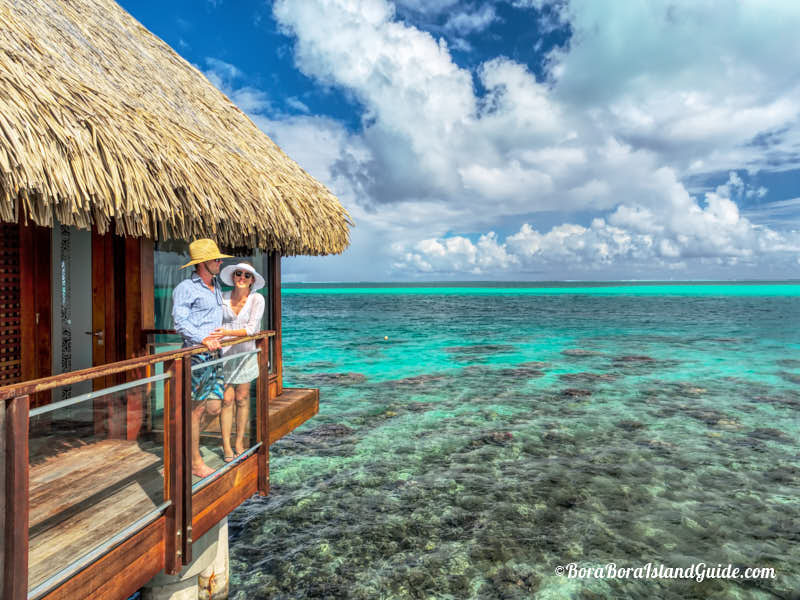 Bora Bora Island Guide is dedicated to providing a highly sought after, rare class of information that enables those wanting to have an amazing Bora Bora vacation to turn their dream into reality. Bora Bora is no ordinary travel destination. It has been named the world's number one island! 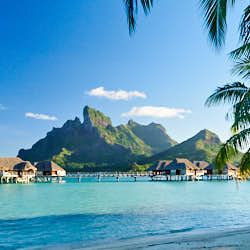 Many millions of people from all around the world have a Bora Bora holiday on their wish-list. But Bora Bora seems remote, mysterious and expensive. This popular site shows them how to do it on any budget. 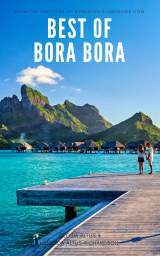 Bora Bora Island Guide is found by those ready to make a commitment, as well as the dreamers who are seeking inspiration and advice for the future. It has 1000s of page views each day. English communication reaches people in more countries than any other language. A general disillusionment with large corporations has begun a new trend. Customers are gravitating towards more personal businesses managed by people who have found solutions for problems or situations and are now providing the appropriate information, goods and services for others to utilize. This 'Been There, Loved That!' website is building relationships with visitors who appreciate the extraordinary practical knowledge it provides. Readers value opinions from experienced travelers and are constantly asking more questions, which are answered personally. The presence of trust is critical for decision making. Money can't buy it. 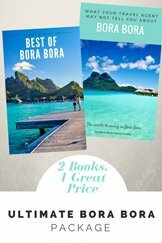 A few travel books, which include a chapter on Bora Bora, have been published but they attempt to cover the whole of French Polynesia or Tahiti, so are very general. They require an investment of time and money to procure and there may be a delay in receiving them. Plus, in today's quickly changing world books cannot remain current. Even before a book is printed, information begins to be out of date, but years pass before reprinting occurs. 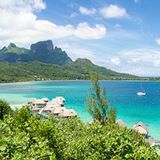 Bora Bora Island Guide focuses the spotlight on Tahiti's most glamorous island, so is able to give high quality, detailed information that is available immediately, and free. It has the web tools and expertise to continually add topics which large numbers of prospective visitors are searching for. There is no limit to the pages that can be created. The web-support which this site employs also facilitates fast updating of existing pages. If a new tour provider comes on the market, or a pension burns down, the information can be quickly available to anyone, anywhere in the world. 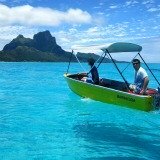 Those associated with this site believe that a well planned vacation in Bora Bora is the thrill of a lifetime. 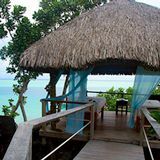 They confidently promote Bora Bora businesses (who provide great service) in a genre, that is in effect, a free form of Bora Bora advertising benefiting all parties involved. There is no need for superficial hype. 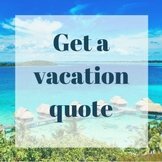 BoraBoraIslandGuide.Com strives to assist people in planning the best possible vacation for their individual interests and purse. 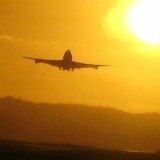 It provides help in choosing air travel, accommodation and restaurants. 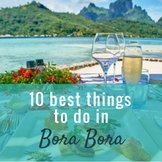 It gives tips on how to get around Bora Bora for “must do” shopping, activities, eating and excursions. It entertains. Visitors enjoy the unique flavor of the site and offer feedback about how valuable this information is. 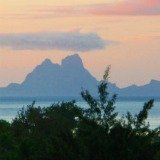 The performance of BoraBoraIslandGuide.com was so spectacular in it's first year that an accommodation website, made inquiries to find out how a new site was so successful at sending such large numbers of people through to their on-line booking agency. Advice and reporting on this site is from an objective, visitor perspective. It is not a “commercial” website so there are few sponsorship opportunities. 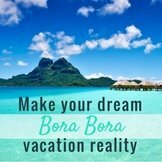 Bora BoraIslandGuide.Com seeks a small number of quality partners who would like to participate in promoting memorable Bora Bora vacations. It selects on a category-exclusive basis i.e. hotels, restaurants, boutiques,excursions, airlines & villa rental. We only provide Bora Bora Advertising for companies who excel. Do you have a truly excellent service or product which you would like valuable, prominent exposure for? Together we can build a program that brands your business and direct-response-markets your product straight to customers who are seeking what you supply.